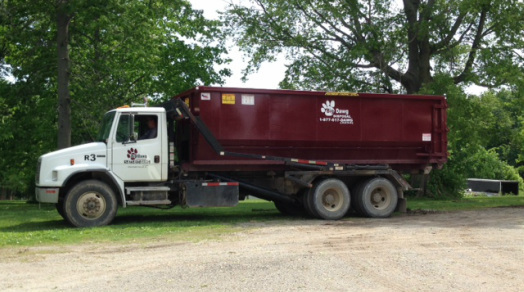 We are a locally owned waste removal company with yard locations throughout Southern Illinois. In business since 2009, we have grown into one of Southern Illinois larger rolloff haulers by providing prompt, personal service for our residential, commercial and industrial customers. Whether you are an individual getting ready for a small remodeling job, or a contractor or broker needing several boxes a day, we can handle jobs of all sizes. We offer both temporary and permanent, open top and compactor service, and are experienced in the proper handling of all types of waste. Rolloff containers are primarily intended for temporary use, but can also be contracted permanently. They come in a variety of sizes depending on your needs. They are used for construction, demolition, remodeling, roofing, clean-out, foreclosures, commercial, industrial and municipal applications. These boxes are capable of hauling shingles, concrete, asphalt, construction waste, demolition waste, Municipal Solid Waste, Special Waste, cardboard and scrap metal. 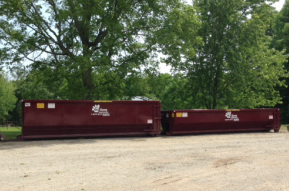 Depending on the contents, material in these containers is delivered to landfills or recycling centers.